Cronulla is sweating on the results of the NRL Integrity Unit's investigation into the club's salary cap. CRONULLA'S fate over its salary cap scandal will be decided by next week and Dylan Napa will learn his sanction before the start of the NRL season. After a summer in which rugby league has repeatedly copped black eyes over off-field behaviour and a series of scandals, the governing body is preparing to hand down findings from two of its biggest ongoing integrity unit investigations. Cronulla came under investigation after self-reporting salary cap issues last year. Chief executive Barry Russell says he's been told the club will learn the outcome by the end of the month. 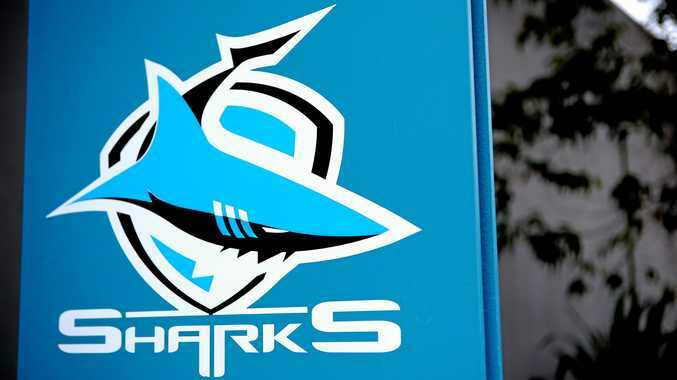 The investigation has already proven costly for the Sharks with premiership coach Shane Flanagan deregistered following revelations of his email communications with the club while under suspension over the peptides saga. "The salary cap matter has been a long and drawn out process, which is just as frustrating to me as I'm sure it is to you our members and corporate partners," Russell said in a letter to Sharks members. "But it is imperative that we clean up this mess and the integrity and governance of our great club is upheld." The Sharks issued their response to the NRL's breach notice last month. The issue is likely to be discussed at Thursday week's meeting of the ARL Commission. Russell also said six lower grade Sharks players had been fined following altercations at Cronulla Sailing Club late last year. As a result of the incident, the entire club's playing squad was banned from the venue. The six players involved were hit with fines ranging from 10 to 25 per cent of their salaries and ordered to undergo alcohol education and do community service. "The players were remorseful but were informed in no uncertain terms that these would be first and last warnings for behavioural issues of this nature and that further breaches would result in contract terminations," Russell said. Meanwhile, it's understood Canterbury star recruit Napa will learn in the next few weeks whether he will be stood down over a series of lewd videos released on the internet. NRL chief executive Todd Greenberg had hinted Napa might be stood down for the start of the Bulldogs' season, but he could be fined instead. It came as the Wests Tigers were given the green light by the NRL to enter contract negotiations with Robert Jennings despite the club's salary cap being investigted by the NRL Integrity Unit. The NRL has proposed to deduct $639,000 from the club's salary cap after their alleged failure to report their offer of a post-playing career ambassadorial role to Robbie Farah. The club has reportedly been told that signing Jennings will not result in them breaking the salary cap limit, seeming to suggest they will receive a favourable outcome when the final findings are handed down.